There are certain industries requiring thin-layer evaporation. Evaporation is a known technique for thin metal deposition like in producing mirrors that include a thin silver layer at the back. These days, the process is made a whole lot easier through the help of a vacuum. The vacuum is responsible for allowing all vapor particles to bounce back to the substrate or the target object where they will condense back later on to a solid state. 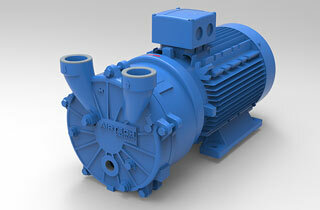 At Airtech Vacuum Incorporated, we can install vacuum pumps for thin-layer evaporation systems. A thin-layer evaporation equipment comes with a vacuum pump and a subsequent energy source that allows for evaporating the material that needs to be deposited. An example of an application for this process is aluminized PET film packaging. Depending on the method used, the energy source will also be different. Take for instance, in the case of the thermal method. This makes use of a metal material like pellets and wire which is fed into a ceramic evaporator. Then there is flash evaporation where the source material is a fine wire which is fed on a hot ceramic bar then evaporates on the surface upon contact. In the electron-beam method, heating the source will require the use of an electron beam. Last but not the least, for resistive evaporation, a resistive wire or a foil which contains the material is used as a source of energy. Note that regardless of the source of energy, the vacuum technology will do a lot of help in achieving the results of a thin-layer evaporation system. Why Choose Airtech Vacuum Incorporated For Thin-Layer Evaporation? At Airtech Vacuum Incorporated, we endeavor to deliver no less than unparalleled technology for various industries and applications. Founded in 1982, we have been manufacturing a wide variety of vacuum and pressure technologies via a list of products like oil-flooded vacuum pumps, liquid ring vacuum pumps, high pressure regenerative blowers, and more. Our team is comprised of experts who work on these technologies to suit each unique application. Much more than our commitment to deliver high quality products to our patrons, we also do custom work by designing and engineering vacuum pumps and blowers that will suit the standards of an industry. Our certification from ISO made us one of the names to trust in delivering these goods. With this, you can entrust your purchase of thin-layer evaporation systems to us. These technologies are equipped with great features, and can be installed and operated easily. Do not forget that these are available at very competitive rates that will surely make you want to order them immediately. We also handle every order with care and deliver the satisfaction customers expect from us. What are you waiting for? Start browsing through our inventory today and source for top-notch thin-layer evaporation vacuum and pressure products with exceptional ease!